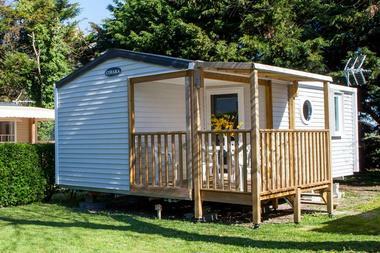 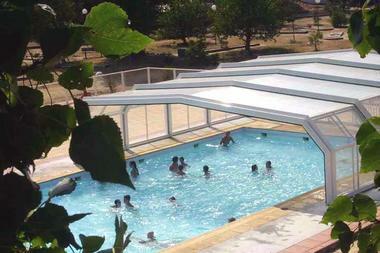 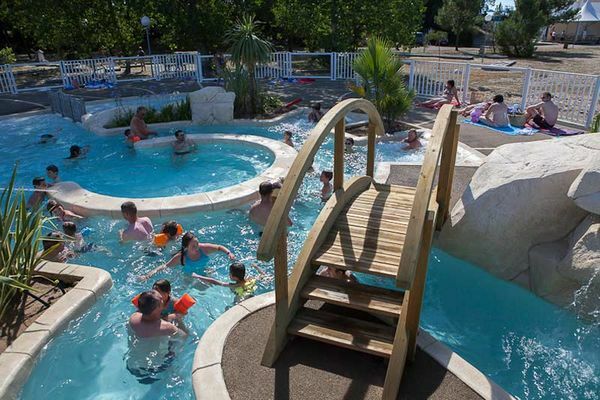 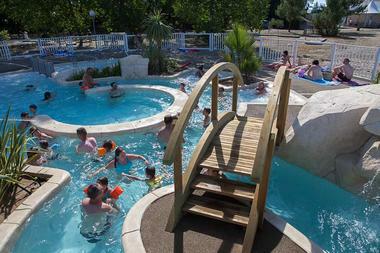 This 12 hectare campsite stretches along the Vendée salt-marshes at Moutiers-en Retz. A spectacular landscape overlooking the ocean. 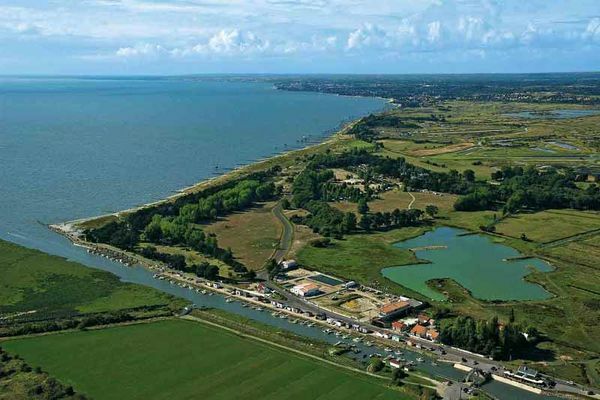 The fisheries and huts on stilts in the far distance seem to stride across the deep blue sea in the spectacular landscape of the Bourgneuf-en-Retz bay area, where local traditions are woven into the very fabric of the place. 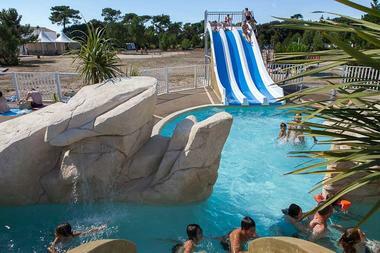 The leafy Domaine du Collet 12 hectare campsite nestles between sea, dunes and salt-marshes and has wide tent pitches with plenty of privacy plus mobile -homes. 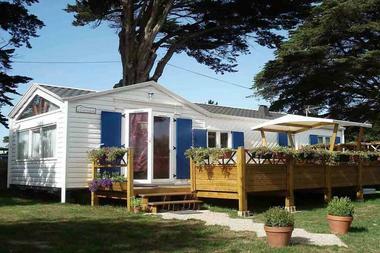 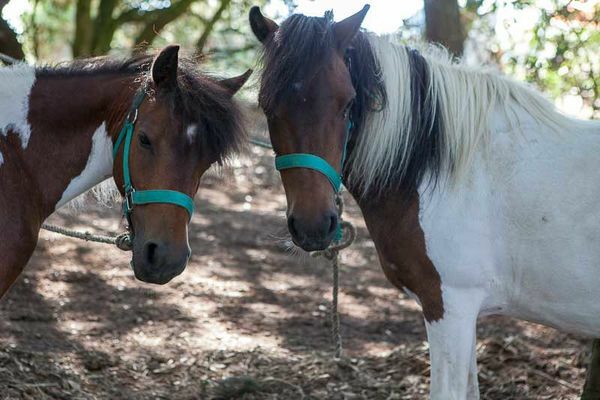 Hundred year old oak trees tower over the site and its fishing lake, and there’s great horse-riding and cycling nearby. 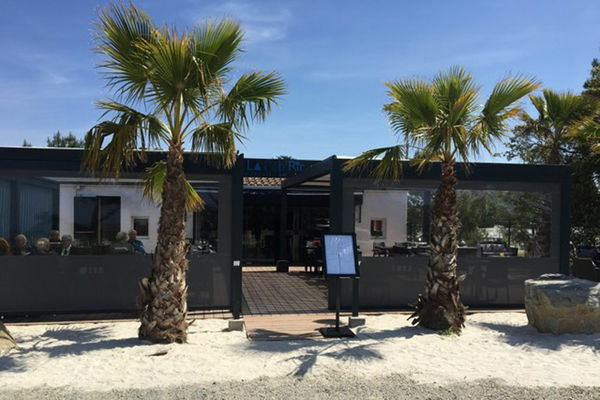 Enjoy bike trips to the port of Le Collet, or shell-collecting on the beach! 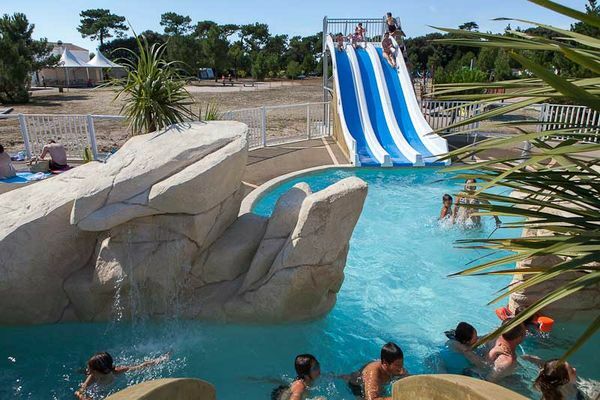 On site activities include aquagym sessions in the indoor heated pool, tennis, mini-golf, fitness room and children’s club, whilst in summertime after eating at the bar-restaurant, you can enjoy team games and evening concerts amongst the many other activities at this friendly campsite.